Even a favourite breakfast treat isn’t safe from environmentalists as proven when today’s news channels went crazy with an announcement from French Environment Minister Segelene Royal. Nutella, which contains Palm Oil, was slammed by the French minister over fears they are contributing to deforestation by replacing trees with oil palms. Ferrero, the Italian chocolate which own Nutella, have made a commitment to source the palm oil in a responsible way by using sustainable palm fruit oil, as certified by the Roundtable on Sustainable Palm Oil (RSPO) supply chain. Unfortunately, this is not enough to satisfy Ms Royal who claims their chocolate breakfast favourite is not only dangerously fattening but its cultivation is harming the environment. However, only hours later does French Minister Royal offer ‘a thousand apologies’ regarding her earlier statement. It seems her earlier statement did not go over too well with her Italian counterpart who kindly told her to’ leave Italian products alone’. 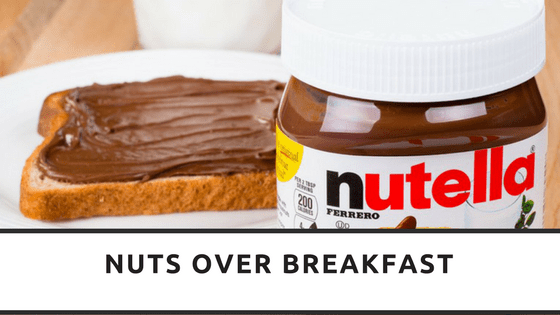 Luca Galletti, the Italian Prime Minister, was interviewed on television and made his stance on Nutella very clear, stating it was Nutella on bread for dinner. An apology was demanded of Royal by Italian politician, Michele Anzaldi, who felt she had committed a ‘serious and ugly’ slight against ‘Italian excellence’. Her apology also came with an agreement to flag up the progress made by Ferrero. It seems Nutella is not safe in France, only 3 years ago did a ‘Nutella Amendment’ appear in front of parliament hoping to impose a 300% tax on palm oil, after several French Senators claimed the ingredients were harming the environment and making children fat. Thankfully it was declined and kids can still enjoy the delicious taste of Nutella in a morning.